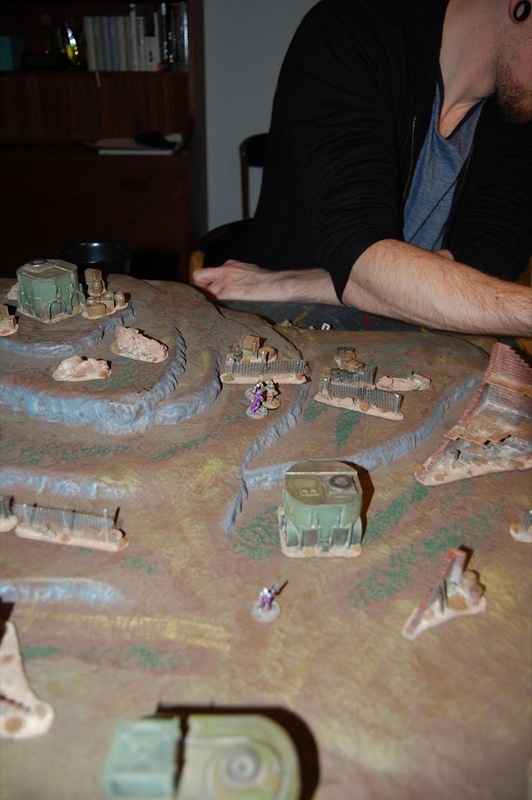 Sonny wrote a little on on his blog about our thoughts behind 15mm gaming. Here are some action pics from the game. During this week I’ve painted 20 15mm sci-fi minis for AE Bounty. The minis are from http://www.criticalmassgames.com/ and were a joy to paint. I’ve add a 40k terminator to one of the pics for size comparison.